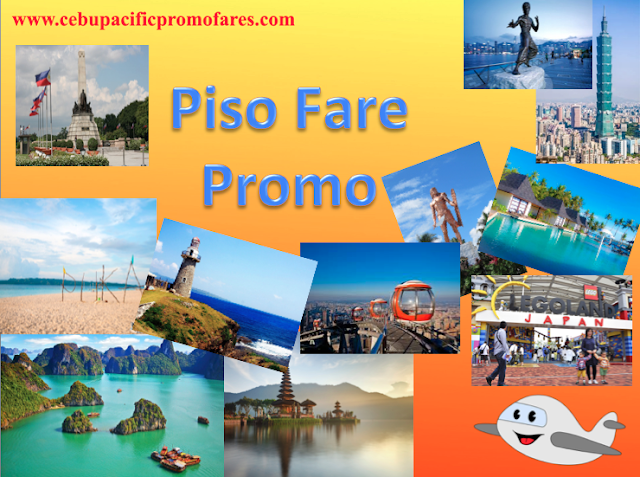 Piso Fare Promo for 2 days only! Cebu Pacific Piso Fare: This is the moment we have all been waiting for! For 48 hours, Cebu Pacific will open their booking website for their PISO FARE PROMOS for 2018 travel. Now, we can see you are all smiles! But it is important to keep an eye and be ready in the next few hours when the clock strikes 12 midnight as selling period is from November 29 to 30, 2017 only. Make sure you are prepared with your credit card, destination details, personal information for your ticket and perhaps, a calendar as reference of your planned flight schedule just to be sure. You may at least ask help from your friends or family when it's time for you to book your tickets! This is a rare opportunity once again, so grab it when you can! Since it's a 2-day Piso sale, expect some down time on Cebu Pacific's official website at http://cebupacificair.com but we highly suggest you take in a lot of patience as hundreds of fellow travelers might be accessing the site as well to book their tickets. So be very vigilant and fast.